I have the form saved on my website. I would like people to insert their name in the text box with their name being saved on the document. If you have added full name field to your form it will allow you to capture the users first and last name. I presume that this question is more related to the document part that you have mentioned. If so, please do give us a bit more details in regards to the same. It is pertaining to the form entitled "Volunteer Boat Inspection Schedule 2016". Instead of check boxes or buttons, I chose text box for a person to insert their name. I assumed when that was done, the document with the name on it could be saved thereby showing the names on that page on our website. That assumption is not taking place and I need to know how to save names when they are inserted periodically on the form. OK, so you want the form to allow you to capture the names on the specific date and time and then to show the ones that were entered. In a way telling others which fields are already taken. Unfortunately that would not be possible with Matrix field. 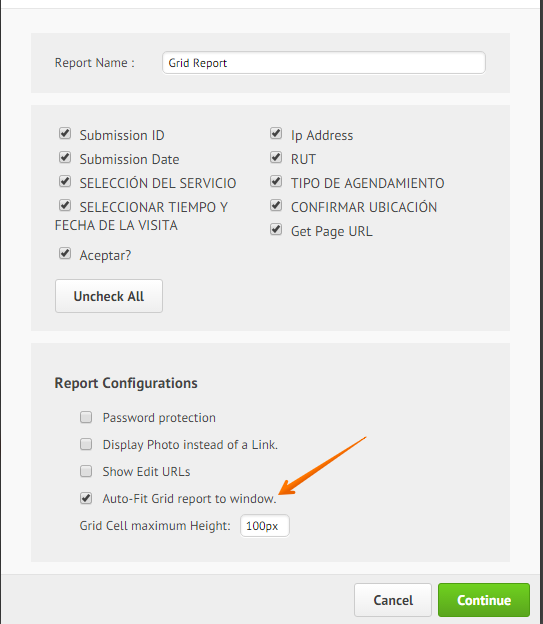 The best that you could do is to create a report, such as grid report and then show it on your form through iframe embed widget right above, or next to the matrix field, allowing them to see existing entries. You can see more about grid report here: How to create a Grid Listing report? 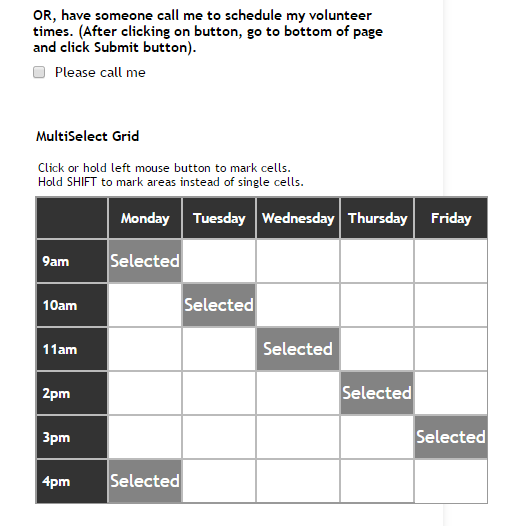 Okay, I created a grid listing, however, it only shows a small portion of the form. I copied and pasted the code to our website....am I supposed to do something else through the widget? If you can give us the link to your website page Pat, we would be able to see it and help you with the setup so that it is clearly shown on the same. It seems that the elements are all mixed up on the page. 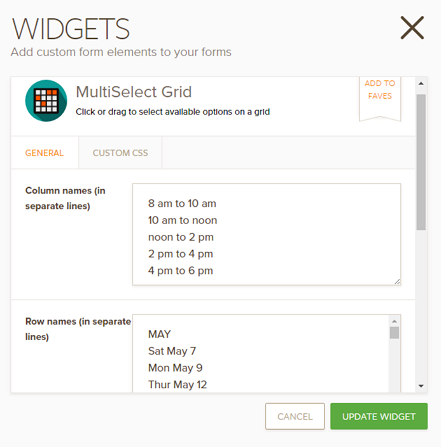 I'd suggest creating sections where you can put the forms and the Grid Listing report. You can put it on top of each other. New response receivedWhy am I only able to view part of the Grid Listing? Though there is an option to fit the report to the window's width. I think that my colleague is referring to re-positioning the elements in your website, so instead of place the report on the half of the window you may display the report at the top of the website, then display your forms, this will allow the report to show the answers with more space and will display it better. New response receivedI don't have that page arranged....I am just trying to get it set up and then I will arrange it. I am trying to find out how I can fill in the text boxes on that form.....even if I take off the submit button and I fill in the text boxes with names after I receive an email from the Sign Up form....I just can't figure out how to post the Schedule with names inserted and how to save it so it gets filled up on the website. It seems like it should be simple to do, but I've tried numerous different suggestions and nothing is working. I don't think I even need the grid if I can get the Schedule Form to accept names (even if I have to enter them and then publish). 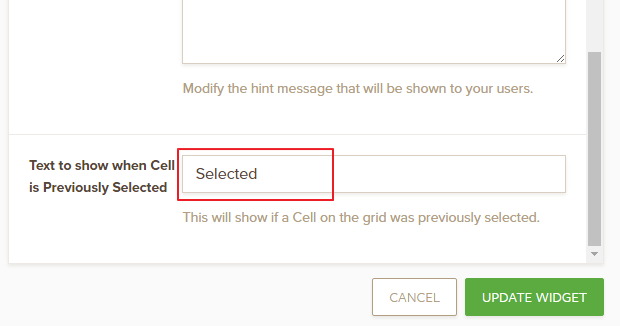 I understand that you want to display the name from the previous submissions in the place of the time selected for the field when the form is opened. Unfortunately, I don't think it is possible to read another field value from the submissions to display on the form. I think that MultiSelect widget helps you, but it cannot display the name where the time is already selected. However, it locks the slot as Selected. 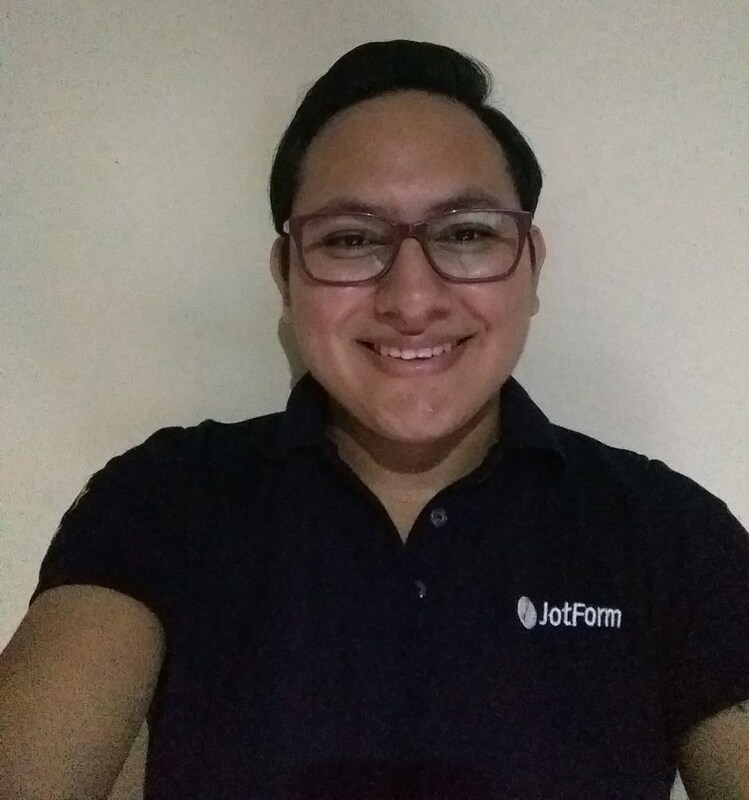 If it doesn't work, it may be required to (hire a programmer if you are not having programming knowledge) write a custom program to display the names in the fields by getting the full source code of the form and storing the form data to your database. Kiran, I think this is what I want, but how do I accomplish this. Do I put the names in before publishing and if so, how do I save them? The form I am using has dates vertically and times horizonitally, but tha shouldn't matter, right? What is the multi select grid and where do I find it? Again, when I tried the grid, it only showed the first couple of lines....someone would have to scroll down...when I tried as you suggested it showed the same few lines. Sorry. I thought I linked the widget in my earlier response. 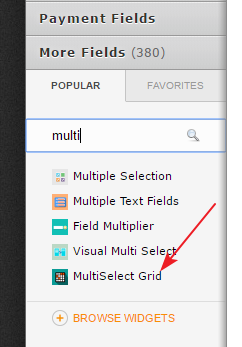 You can search for the MultiSelect Grid widget from the More Fields section. You may specify the columns and rows as per your requirement and same as the current matrix field. You can also change the text Selected to some other from the widget wizard. Please feel free to clone the form your account to see how it works.